Most of us like to believe that we have a reasonably good memory. Sure, we might forget where we left our car keys once in a while and of course, we have all forgotten someone's name, an important phone number, or maybe even the date of our wedding anniversary. But when it comes to remembering the important things, like a cherished childhood event, our memories are accurate and trustworthy, right? While we might liken our memories to a camera, preserving every moment in perfect detail exactly as it happened, the sad fact is that our memories are more like a collage, pieced together sometimes crudely with the occasional embellishment or even outright fabrication. 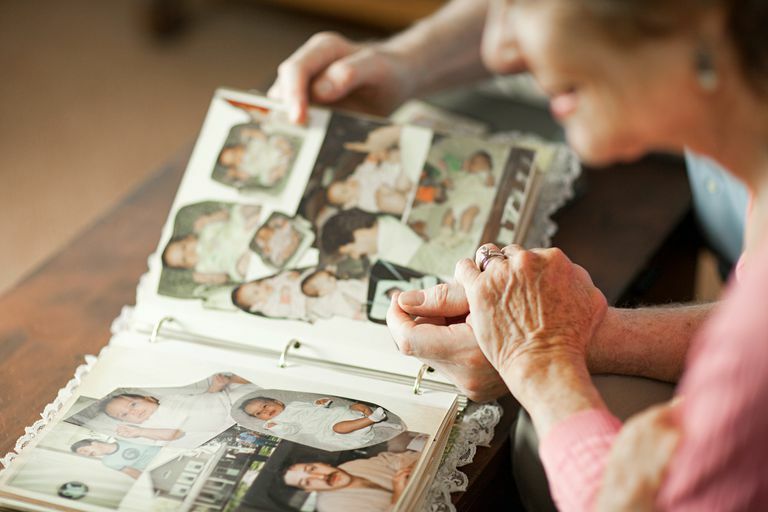 Recent research has helped demonstrate just how fragile human memory can be. We are frighteningly susceptible to errors, and subtle suggestions can trigger false memories. Surprisingly, people with exceptional memories are still susceptible to making things up without even realizing it. In one famous experiment carried out in 1994, memory expert Elizabeth Loftus was able to get 25 percent of her participants to believe a false memory that they were once lost in a shopping mall as a child. Another 2002 study revealed that half of participants could be led to wrongly believe that they had once taken a hot air balloon ride as a child simply by showing them manipulated photo "evidence." Most of the time, these false memories are centered on things that are fairly mundane or inconsequential. Simple, everyday events that have few real consequences. But sometimes these false memories can have serious or even devastating consequences. A false memory relayed during criminal testimony might lead to an innocent person being convicted of a crime. Clearly, false memory has the potential to be a serious problem, but why exactly do these incorrect memories form? Human perception isn't perfect. Sometimes we see things that aren't there and miss obvious things that are right in front of us. In many cases, false memories form because the information is not encoded correctly in the first place. For example, a person might witness an accident but not have a clear view of everything that happened. Recounting the events that occurred can be difficult or even impossible since they did not actually witness all of the details. As a result, the person's mind might fill in the "gaps" by forming memories that did not actually occur. In other cases, old memories and experiences compete with newer information. Sometimes it is old memories that interfere or alter our new memories, and in other instances, new information can make it difficult to remember previously stored information. As we are piecing old information back together, there are sometimes holes or gaps in our memory. Our minds then try to fill in the missing spaces, often using current knowledge as well as beliefs or expectations. For example, you can probably distinctly remember where you were and what you were doing during the terrorist attacks of 9/11. While you probably feel like your memories of the event are pretty accurate, there is a very strong chance that your recollections have been influenced by subsequent news coverage and stories about the attacks. This newer information might compete with your existing memories of the event or fill in missing bits of information. If you've ever tried to recall the details of an emotionally-charged event (e.g., an argument, an accident, a medical emergency), you probably realize that emotions can wreak havoc on your memory. Sometimes strong emotions can make an experience more memorable, but they can sometimes lead to mistaken or untrustworthy memories. Researchers have found that people tend to be more likely to remember events connected to strong emotions, but that the details of such memories are often suspect. Retelling important events can also lead to a false belief in the accuracy of the memory. One 2008 study found that negative emotions, in particular, were more likely to lead to the formation of false memories. Other studies have suggested that this false memory effect has less to do with negative emotions and more to do with arousal levels. A 2007 study found that false memories were significantly more frequent during periods of high arousal than during periods of low arousal, regardless of whether the mood was positive, negative, or neutral. Sometimes accurate information gets mixed with incorrect information, which then distorts our memories for events. Loftus has been studying false memories since the 1970s and her work has revealed the serious consequences that misinformation can have on memory. In her studies, participants were shown images of a traffic accident. When questioned about the event after seeing the images, the interviewers included leading questions or misleading information. When the participants were later tested on their memory of the accident, those who had been fed misleading information were more likely to have false memories of the event. The serious potential impact of this misinformation effect can be easily seen in the area of criminal justice, where mistakes can literally mean the difference between life and death. Brainerd and Reyna (2005) suggest that false recollections during the interrogation process are the leading cause of false convictions. Have you ever mixed up the details of one story with the details of another? For example, while telling a friend about your last vacation you might mistakenly relate an incident that happened on a vacation you took several years ago. This is an example of how misattribution can form false memories. This might involve combining elements of different events into one cohesive story, misremembering where you obtained a particular piece of information, or even recalling imagined events from your childhood and believing that they are real. When forming a memory, we don't always focus on the nitty-gritty details and instead remember an overall impression of what happened. Fuzzy trace theory suggests that we sometimes make verbatim traces of events and other times make only gist traces. Verbatim traces are based on the real events as they actually happened, while gist traces are centered on our interpretations of events. How does this explain false memories? Sometimes how we interpret information does not accurately reflect what really happened. These biases interpretations of events can lead to false memories of the original events. While researchers are still learning more about the mechanisms behind how false memories form, it is clear that false memory is something that can happen to virtually anyone. These memories can range from the trivial to the life-altering, from the mundane to the potentially fatal. "Nearly two decades of research on memory distortion leaves no doubt that memory can be altered via suggestion," wrote Loftus and Pickerell in a seminal 1995 article. "People can be led to remember their past in different ways, and they even can be led to remember entire events that never actually happened to them. When these sorts of distortions occur, people are sometimes confident in their distorted or false memories, and often go on to describe the pseudomemories in substantial detail. These findings shed light on cases in which false memories are fervently held—as in when people remember things that are biologically or geographically impossible." Brainerd, C. J., Stein, L. M., Silveira, R. A., Rohenkohl, G., & Reyna, V. F. (2008). How Does Negative Emotion Cause False Memories? Psychological Science, 19(9), 919-925. doi: 10.1111/j.1467-9280.2008.02177.x. Corson, Y. & Verrier, N. (2007). Emotions and False Memories: Valence or Arousal?​ Psychological Science, 18(3), 208-211. Dingfelder, S. F. (2005). Feelings' Sway Over Memory. Monitor on Psychology, 36(8), 54. Loftus, E.F. & Pickrell, J.E. (1995) The Formation of False Memories.​ Psychiatric Annals, 25, 720-725.